What is the Difference Between a Blog Post and an Article? When blogs were originally created they were written in the first person i.e. "I" or "me" because they were written as a daily journal. Articles are usually written using "you" and "your", "them" and "they", in the third voice. They don't express any individual or personality but always have an authoritative tone. Usually an article will be between 5000-1000 words where as a blog post about 300-500 words. People prefer to skim through blog posts, but spend more time reading an article. Articles are factual documents rather than someone's opinion. They're always backed up with facts and statistics. A blog post is usually an opinion or thought, backed up by statistical information and facts. When you read an article you feel like you're being taught something from an authoritative figure. When you read a blog post it's like speaking to a close friend. Articles are usually published about once or twice a week, just like they would be in a weekly paper or magazine. Blog posts are kept up-to-date regularly, sometimes even daily depending on the blogger. Articles aren't expected to be read as frequently. This is where it can be a bit confusing, some bloggers will refer to their blog posts as articles even though they are filled with their own thoughts and opinions and written in the first person. The key thing to understand about an article is that it should be technical and informative to the reader, unlike a blog post which is personal and conversational. Time after time as a blogger I ask myself the same question. What should my major focus be! The answer is always writing. Create valuable content and the readers will come. Not "rocket science", but without it your blog will sink. Monetization - Without traffic all those affiliate links on your blog won't make you a penny, its the amazing blog posts that attract your readers, giving them somewhere to get their daily or weekly fix of information. Social Media - You can join as many social media sites as you want but without regular content for your followers to read its all for nothing. SEO - Sure seo techniques can help, don't get me wrong, without any links you're lost. Good quality links come from good quality content. Blog Design - Making your website look pretty and attractive to your audience, but its not going to keep them coming back for more. You need to send out a hook every so often to reel them in. All of the above things are useful but nothing reigns more than content. Always consider your reader, make them the centre of your blog post. What problem does they have that needs solving? What wants, hopes and dreams does they have? Identify a topic to resolve that problem, help your reader achieve their dream. Set up a list of resources or tools to help solve his problem. Make your tips practical and useful for daily life. Create useful ways to solving their problems. Pick a topic, define it in the main headline. You stay more focused when you know what your blog post is all about. Your main headline is important because that's the first thing to be seen in a feed reader. It's the only thing that'll be seen before making the decision to read it. Life is so fast these days, so much so that people only have seconds to skim through newspapers and articles for useful information. If your reader is looking for something, don't make them dig. It won't happen - they'll move on to the next blog and leave yours hanging. Make it easy to scan through, use lists, subheadings, block quotes, graphics and images to hold their attention. In a nutshell, make it simple for your reader. Avoid fancy language and unnecessary words. Be more conversational, don't talk down to your reader or confuse them with techie stuff. Write like you're talking to a friend, then proofread it later and revise sentences that aren't clear. Keep it simple, give it time and it will become a beacon to all your readers. Fact: Only 16% of people read websites word for word. The average person only comprehends 60% of what they read. Research has shown that over 50% of people scan the articles they read picking out keywords, meaningful sub-headings, bulleted lists etc. Credibility is also important to web users. Which is why most people skim through blog posts, because it take less time. You can test this by asking a friend to take a quick look at your blog. Give them about 30 seconds on each post. After they've finished reading ask them what the post was about. You'll begin to understand how they've interacted with your blog. Lists - People love reading lists because it appeals to their short attention spans. Formatting- Make your information jump out of the page with bold lettering, italics, CAPITALS. Try changing your font size to draw readers eyes to the main points. Pictures- Research has shown time and time again that people love images. Use pictures relating to your key points, you have more chance of getting readers to read full articles. Borders/Block quotes - Get readers attention with boxes around quotes and key points. Space - Don't fill up every inch of your screen, leave a little space. This will help your readers not feel overwhelmed. Get to the Point - Try to be concise with your points. Don't Bury Your Points - Make your point visible, don't bury it in your content. Reinforce Your Main Points Creatively - Throughout your post. Don't Overwhelm Your Readers - Stick to one idea per blog post, or insert links that relate to other posts. If your posts aren't readable you may lose your readership. If you're stuck for blog post ideas or unable to think of what your next blog post should be about. You're not alone it happens to all bloggers. Sometimes your mind just goes blank. 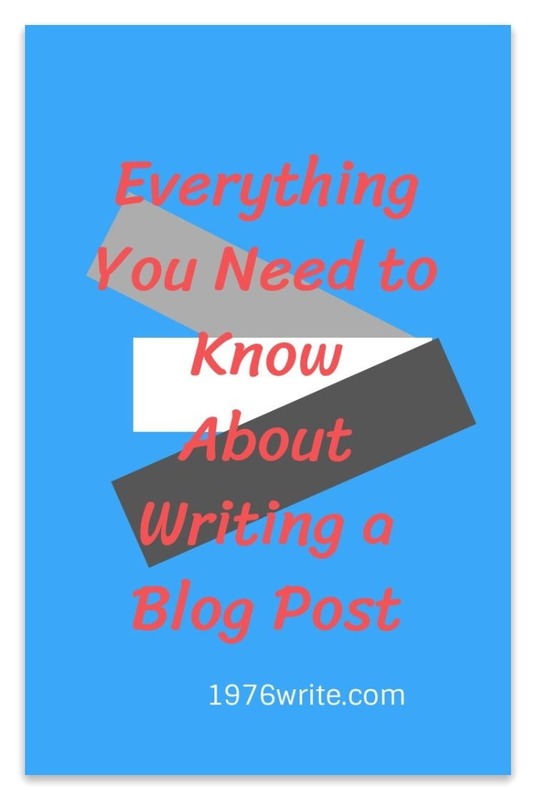 The good news is that there are a number of different blog posts you can write. I'm going to show you them and help cure your writer's block. 1 The Information Post - You simply give information on a topic like a definition or a long explanation in your particular blog niche. This is the core of websites like Wikipedia. 2 The Instruction Post - This is where you inform people on how to do something, such as starting a blog, gardening, how to dance etc. A popular type of blog post because people love learning new things. 3 The List Post - Making a list is a really easy way to write a post. You can write lists about endless amounts of things for example, "Reasons why...", "10 Favourite..." or "The Top Ten Trends for...". Handy for people on the go. 4 The Review Post - Reviews are great if your selling affiliate products or even your own products. You can make them as long you want. Giving your own wisdom or opinion about various products you've tested. 5 The Case Study Post - These are longer than just a review post and if written really well can be evergreen content. 6 The Link Post - A quote or comment can be used and expanded upon to make a blog post more original. 7 The Rant Post - If you're annoyed about something that's on your mind create a blog post about it. Rants are great for starting a discussion and can be quite fun. Warning, they can also stir up some firey comment threads which can impact on your blogging reputation later on, so beware. 8 The Inspirational Post - Give people something to focus on, a word of encouragement can also help you as a writer to connect with your audience. There are many more types of blog posts, by changing your blog post type into the mix can broaden your readership. There's nothing wrong with a little spice every now and again.